A hyperlight, compact ascender with an ergonomic design that makes it very easy to use. Perfect for ascension, verified for traverse, and can also be used in block-and-tackle systems. 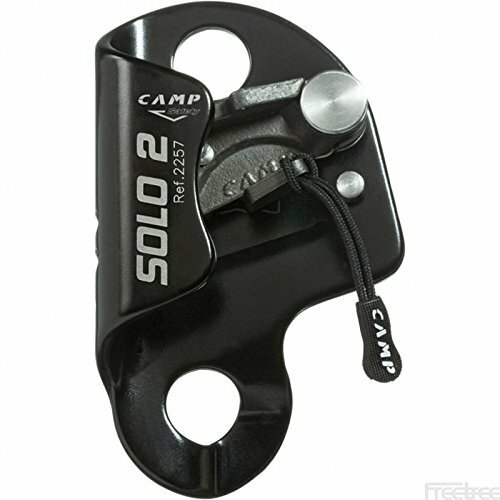 The lower hole is shaped for optimal positioning of the carabiner while the upper hole fits a safety carabiner to secure the rope. The toothed cam is finished with a special anti-wear treatment and features drain holes to help prevent the build up of mud and grit. The opening mechanism is simple and secure with the ability to lock the device open for easier attachment and a removable pull cord that makes it easier to operate while wearing gloves. Aluminum alloy body, precision-cast steel cam. Certified according to EN 12841/B for semi-static ropes ranging from 10 to 13 mm and EN 567 for ropes from 8 to 13 mm.